As clinical next generation sequencing testing evolves, we are witnessing laboratories identifying diagnoses for an increasing number of previously rare or undiagnosed disease patients, creating greater knowledge bases in this field, and evolving their technologies to improving testing. We are also seeing an increase in the role of patient advocacy organizations empowering and unifying patients suffering from rare diseases. During this concurrent session these topics and more will be discussed by a panel of experts in the field. 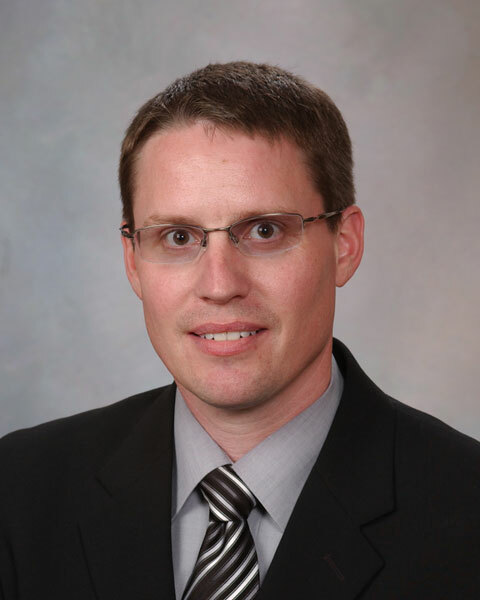 Eric W. Klee, PhD is a Consultant in the Division of Biomedical Statistics and Informatics, Department of Health Sciences Research, with joint appointments in the Department of Medical Genetics and in the Division of Laboratory Genetics, Department of Laboratory Medicine and Pathology. 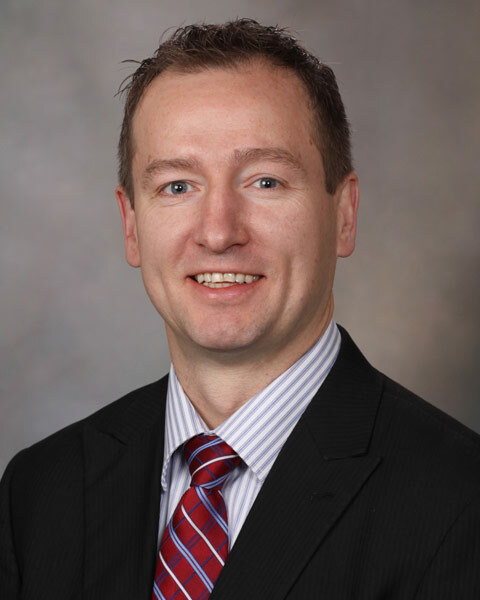 He serves as director of the Bioinformatics Core, Department of Laboratory Medicine and Pathology, and associate director of Bioinformatics, Mayo Clinic Center for Individualized Medicine. Dr. Klee holds the academic rank of associate professor of medical informatics, Mayo Clinic College of Medicine and Science. He joined the staff of Mayo Clinic in 2005. Dr. Klee’s research within the Center for Individualized Medicine is focused on the application of genomics to improve patient care. He directs the Translational Research Program that uses multi-omic, protein modeling, and functional studies to understand and aid in the diagnosis and treatment of rare or previously undiagnosed diseases. Additionally, Dr. Klee works with the Department of Laboratory Medicine and Pathology to develop new methods for improving diagnostic NGS testing. He consistently publishes in high-impact scientific journals and is frequently invited to give presentations on his research. He has authored numerous journal articles, abstracts and other written publications. In recognition of his work, Dr. Klee received the National Academy of Clinical Biochemistry Distinguished Abstract Award, conferred by the National Academy for Clinical Biochemistry, and he was selected for the KL2 Mentored Career Development Program through the Mayo Clinic Center for Translational Science Activities. Bio: Eric W. Klee, PhD is a Consultant in the Division of Biomedical Statistics and Informatics, Department of Health Sciences Research, with joint appointments in the Department of Medical Genetics and in the Division of Laboratory Genetics, Department of Laboratory Medicine and Pathology. He serves as director of the Bioinformatics Core, Department of Laboratory Medicine and Pathology, and associate director of Bioinformatics, Mayo Clinic Center for Individualized Medicine. Dr. Klee holds the academic rank of associate professor of medical informatics, Mayo Clinic College of Medicine and Science. He joined the staff of Mayo Clinic in 2005. Dr. Klee’s research within the Center for Individualized Medicine is focused on the application of genomics to improve patient care. He directs the Translational Research Program that uses multi-omic, protein modeling, and functional studies to understand and aid in the diagnosis and treatment of rare or previously undiagnosed diseases. Additionally, Dr. Klee works with the Department of Laboratory Medicine and Pathology to develop new methods for improving diagnostic NGS testing. He consistently publishes in high-impact scientific journals and is frequently invited to give presentations on his research. He has authored numerous journal articles, abstracts and other written publications. In recognition of his work, Dr. Klee received the National Academy of Clinical Biochemistry Distinguished Abstract Award, conferred by the National Academy for Clinical Biochemistry, and he was selected for the KL2 Mentored Career Development Program through the Mayo Clinic Center for Translational Science Activities. Konstantinos Lazaridis, MD is considered a leader in the area of the genomics of chronic cholestatic liver diseases, namely, Primary Biliary Cirrhosis (PBC) and Primary Sclerosing Cholangitis (PSC). Since 2003, he has established and is the principal investigator of the two national consortia for studying patients afflicted with these diseases. His research group applies the latest genomic and genetic epidemiology approaches to better understand the pathogenesis and improve the therapy of patients with PBC and PSC. This research effort is supported by the NIH. He was elected to the American Society of Clinical Investigation (ASCI) in 2015. As associate director of the Center for Individualized Medicine in Rochester, Dr. Lazaridis has been instrumental in establishing and expanding the Individualized Medicine Clinic and in directing the Clinomics program that seeks to integrate the latest genomic discoveries into clinical care. Dr. Lazaridis is a physician in the Division of Gastroenterology and Hepatology and the Everett J. and Jane M. Hauck Associate Director, Center for Individualized Medicine, Mayo Clinic in Rochester. Dr. Lazaridis received his medical degree at the University of Ioannina in Greece. He completed his Internal Medicine and Gastroenterology fellowship training at Mayo Clinic and was a Mayo Clinic Scholar in Genomics in the laboratory of Dr. Francis Collins at the National Human Genome Research Institute. 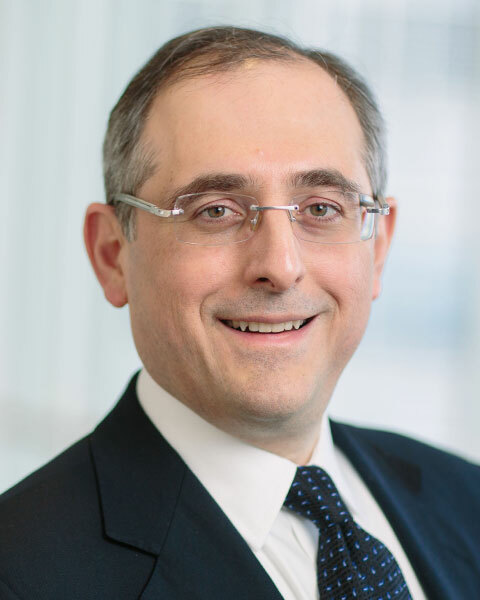 Bio: Konstantinos Lazaridis, MD is considered a leader in the area of the genomics of chronic cholestatic liver diseases, namely, Primary Biliary Cirrhosis (PBC) and Primary Sclerosing Cholangitis (PSC). Since 2003, he has established and is the principal investigator of the two national consortia for studying patients afflicted with these diseases. His research group applies the latest genomic and genetic epidemiology approaches to better understand the pathogenesis and improve the therapy of patients with PBC and PSC. This research effort is supported by the NIH. He was elected to the American Society of Clinical Investigation (ASCI) in 2015. As associate director of the Center for Individualized Medicine in Rochester, Dr. Lazaridis has been instrumental in establishing and expanding the Individualized Medicine Clinic and in directing the Clinomics program that seeks to integrate the latest genomic discoveries into clinical care. Dr. Lazaridis is a physician in the Division of Gastroenterology and Hepatology and the Everett J. and Jane M. Hauck Associate Director, Center for Individualized Medicine, Mayo Clinic in Rochester. Dr. Lazaridis received his medical degree at the University of Ioannina in Greece. He completed his Internal Medicine and Gastroenterology fellowship training at Mayo Clinic and was a Mayo Clinic Scholar in Genomics in the laboratory of Dr. Francis Collins at the National Human Genome Research Institute. Erica Barnes, MA is a rare disease advocate and the Executive Director of Chloe’s Fight Rare Disease Foundation which she co-founded with her husband following the loss of her daughter Chloe to metachromatic leukodystrophy in 2010. She is also the volunteer State Ambassador in Minnesota leading the Rare Action Network for NORD (National Organization for Rare Disorders). 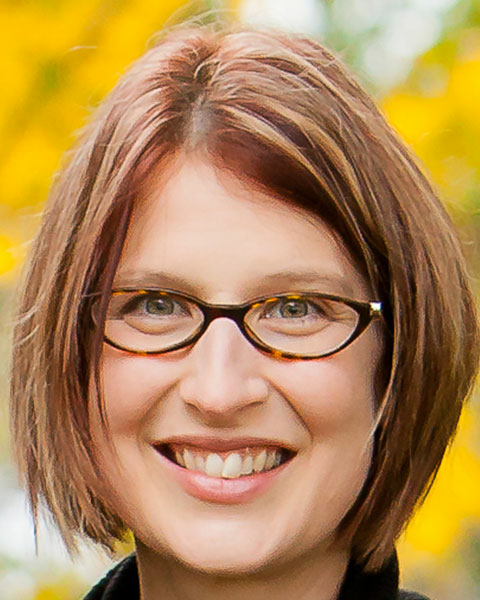 Erica has written numerous articles for national publications on various rare disease topics and is a public speaker. She lives in Hopkins, Minnesota with her husband and two children. Bio: Erica Barnes, MA is a rare disease advocate and the Executive Director of Chloe’s Fight Rare Disease Foundation which she co-founded with her husband following the loss of her daughter Chloe to metachromatic leukodystrophy in 2010. She is also the volunteer State Ambassador in Minnesota leading the Rare Action Network for NORD (National Organization for Rare Disorders). Erica has written numerous articles for national publications on various rare disease topics and is a public speaker. She lives in Hopkins, Minnesota with her husband and two children. Matthew Ferber, PhD is an assistant professor and consultant in the Department of Laboratory Medicine and Pathology serving as a Co-Director for the Clinical Molecular Genetics Laboratory and the founder of the Clinical Genome Sequencing Laboratory at Mayo. He has worked very closely with Mayo Clinic's Center For Individualized Medicine over the years serving as a founding member of the Clinomics program, which created the Individualized Medicine Clinic and Mayo's Diagnostic Odyssey Services. Bio: Matthew Ferber, PhD is an assistant professor and consultant in the Department of Laboratory Medicine and Pathology serving as a Co-Director for the Clinical Molecular Genetics Laboratory and the founder of the Clinical Genome Sequencing Laboratory at Mayo. He has worked very closely with Mayo Clinic's Center For Individualized Medicine over the years serving as a founding member of the Clinomics program, which created the Individualized Medicine Clinic and Mayo's Diagnostic Odyssey Services. Jane Juusola, PhD is Director of the Clinical Genomics program at GeneDx, a molecular diagnostics laboratory in Maryland. She is board certified in Clinical Molecular Genetics by the American Board of Medical Genetics and Genomics (ABMGG) and is a fellow of the American College of Medical Genetics (ACMG). She received her Bachelor of Science degree in Molecular Biology and Microbiology and her PhD in Biomolecular Sciences from the University of Central Florida. Dr. Juusola worked as a post-doctoral fellow at the FBI research lab in Quantico for 2 years, after which she joined the Molecular Diagnostics laboratory at the VCU Medical Center in a training capacity. While at VCU, Dr. Juusola completed her clinical training in the Department of Pathology and Department of Human Genetics. In 2012, she joined GeneDx. Dr. Juusola has co-authored a number of articles and published abstracts in molecular and human genetics, including novel disease genes. Her interests include disorders of the immune system, gene discovery, and developmental disorders. 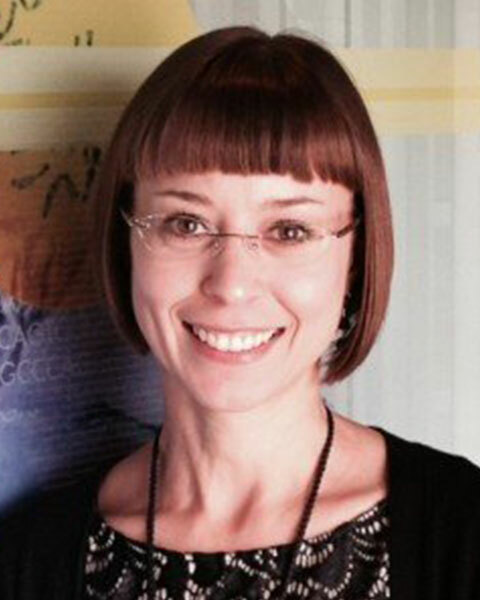 Bio: Jane Juusola, PhD is Director of the Clinical Genomics program at GeneDx, a molecular diagnostics laboratory in Maryland. She is board certified in Clinical Molecular Genetics by the American Board of Medical Genetics and Genomics (ABMGG) and is a fellow of the American College of Medical Genetics (ACMG). She received her Bachelor of Science degree in Molecular Biology and Microbiology and her PhD in Biomolecular Sciences from the University of Central Florida. Dr. Juusola worked as a post-doctoral fellow at the FBI research lab in Quantico for 2 years, after which she joined the Molecular Diagnostics laboratory at the VCU Medical Center in a training capacity. While at VCU, Dr. Juusola completed her clinical training in the Department of Pathology and Department of Human Genetics. In 2012, she joined GeneDx. Dr. Juusola has co-authored a number of articles and published abstracts in molecular and human genetics, including novel disease genes. Her interests include disorders of the immune system, gene discovery, and developmental disorders.